Arij Fatyma is a talented Pakistani actress and model who predominately appears in the drama serial of Pakistan showbiz industry. 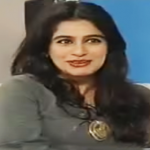 She is one of the discussed actresses in the Pakistan for the short term marriage. Arij Fatyma is a nice looking and glamorous actress established her name in the showbiz arena strongly within very short time by her terrific acting technique. Arij Fatyma was born on November 7, 1989, in North Carolina, the United States to Syed Arij and Mehreen Jafri Syed. Born with two siblings the actress grew up in The United States, later, she moved to Pakistan and completed her matriculation in 2005 obtaining the second position in the Board of Secondary Education, Karachi. 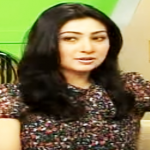 Fatyma was so much passionate about media arena from early childhood eventually turned herself into a professional actress in the showbiz arena. Arij Fatyma made her acting debut with a Pakistani sitcom series ‘Kis Din Mera Viyah Howay Ga’ with co-actor Faisal Qureshi aired on Geo TV. Then the actress starred in the soap ‘Mar Jain Bhi To’ with co-artist Farhan Ally Agha and showed off wonderful acting performance. Fatyma acted in the popular Pakistani drama serial ‘Humnasheen’ with co-actor Adnan Siddiqui which aired on Hum TV in 2013. Following the year, the actress appeared in the Pakistani TV serial ‘Kissey Apna Kahein’. In 2015, she appeared in the Pakistani family drama ‘Aik Pal’ with co-actor Affan Waheed. 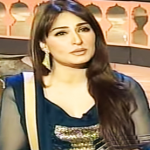 Arij Fatyma married Faraz Khan in January 2014. After only two weeks together, the couple got the divorce. Several Medias of Pakistan striving find out the cause of divorce, Faraz Khan is allegedly accused of several types of crime. He is a gay, spotted with boys in several parties in the drunken condition and smuggling drug that’s why Fatyma left the guy.